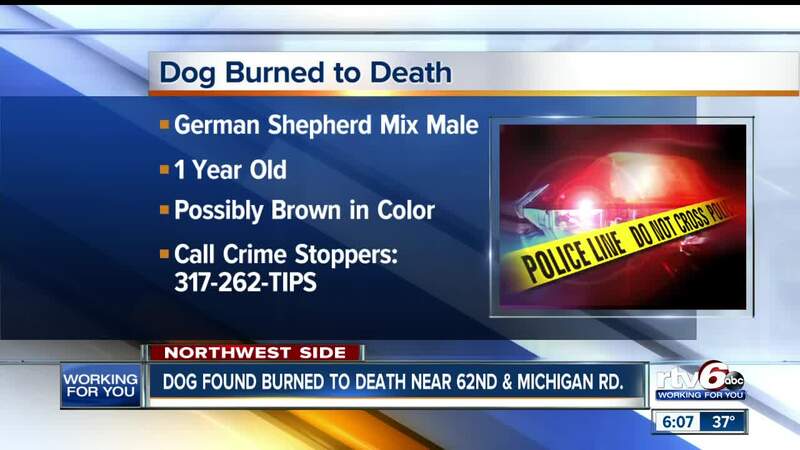 INDIANAPOLIS — Detectives from the Indianapolis Metropolitan Police Department are asking for the public's help locating the individuals responsible for burning a dog to death and dumping it at a vacant lot. According to a report from IMPD, the dog was found in an abandoned shed in the 2600 block of Lincoln Lane by an inspector from Business and Neighborhood Services on Thursday. The inspector was on site to secure the premises. Police said the same location was inspected on Nov. 28 and the dog was not in the shed at that time. Police said the dog was likely burned at another location and then dumped in the shed. The dog is described as a German Shepherd mix male that was about a year old. Detectives believe the dog may have been brown. Anyone with information is asked to contact Nuisance Abatement at 317-327-1270 or Crime Stoppers of Central Indiana at 317-262-8477 (TIPS). Citizens may also download the mobile P3tips app for Apple and Android phones or go to www.CrimeTips.org.